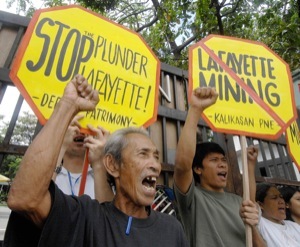 Mining in the Philippines has been notoriously damaging. In 1996 a mining accident in Marinduque Island caused more than four million metric tons of toxic mine waste to spill from the Marcopper mine, and caused wide spread flooding. 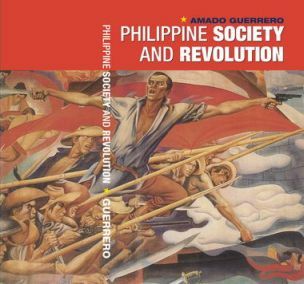 This originally appeared on Philippine Revolution site. 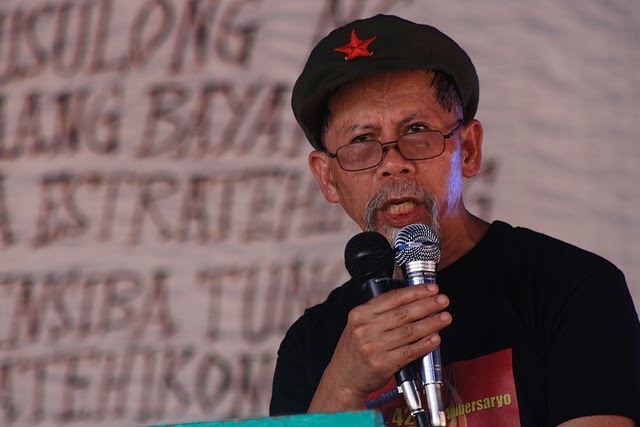 The Communist Party of the Philippines (CPP) today reiterated the policy by the people’s democratic government banning all enterprises, including big foreign mining and logging firms, that engage in large-scale plunder of the natural resources, land grabbing and destruction of the environment. The policy calls for the people’s democratic government to “ban, disable and dismantle” such firms which violate the welfare and interests of the people and disregard the rules and regulations of the people’s democratic government. These firms also connive with and use the fascist armed forces and paramilitary to protect their plunderous interests and fight the revolutionary forces. “These, hostile, destructive and anti-people enterprises should, in fact, be expelled,” the CPP said. The reiteration was made by the CPP amid the uproar raised by the Philippine government over reports that big, foreign mining companies are threatening to pull out their operations in protest over increases in “taxes” being imposed by the revolutionary movement. Officials of the government negotiating panel even declared that they would take up the matter in the upcoming talks with the National Democratic Front of the Philippines (NDFP) in Oslo, Norway. 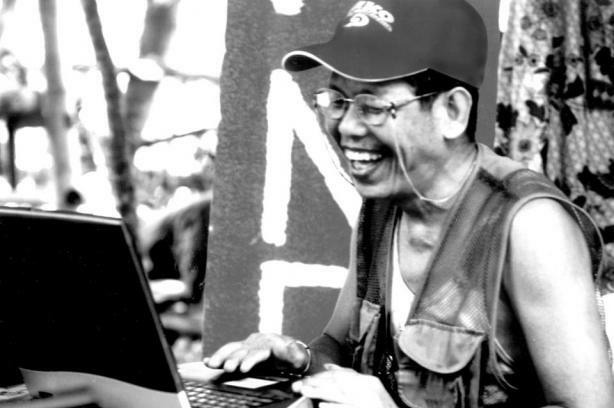 The CPP dismissed accusations by the Armed Forces of the Philippines (AFP) that the NPA “collects taxes” from mining companies. “Large-scale foreign mining operations in the Philippines are among the worst abusers of the environment. Their operations cause siltation and poisoning of rivers, water sources and agricultural lands and other grave destruction of the natural environment,” said the CPP. Kuligligs are motorized pedicabs that have become increasingly popular in the big cities. 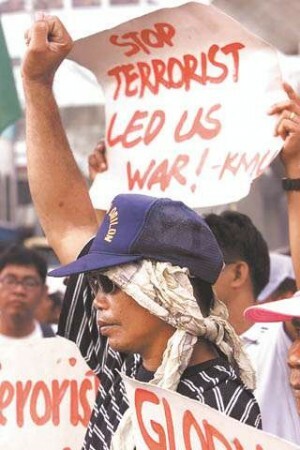 Kuligig perators in Manila fought the government’s recent order to ban kuligigs from much of the city streets. 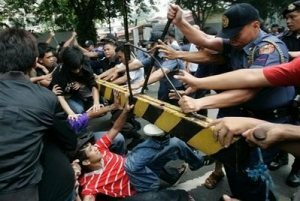 On the morning of December 1, 2010, 700 kuligligs and 2000 drivers took to Lawton Plaza in Manila to take a stand for themselves. In an effort to disperse the thousands in protest, police sprayed them with fire hoses and then violently assaulted the drivers. Thanks to Frontlines of Revolutionary Struggle for pointing this out to us. 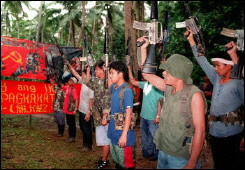 The National Democratic Front of the Philippines in Mindanao (NDFP-Mindanao) unites with the entire Filipino nation in commemorating International Human Rights Day and remembering all activists and masses — martyrs and heroes of our time — who have fallen victims to the gravest abuses against human rights perpetrated by fascist agents and running dogs of previous and current reactionary regimes. We also join the whole Filipino people and the international community in voicing our strongest condemnation, and demand for justice to all the victims. As we mark this day with indignation and protests, the NDFP -Mindanao, together with all revolutionary forces, strives to intensify people’s struggle to put an end to social inequity and repression that spawn grave violations against civil and political rights. The people’s struggle for basic human rights also include the right to basic necessities, such as decent food, shelter and clothing; freedom from fear; and the right to enjoy an atmosphere of peace. 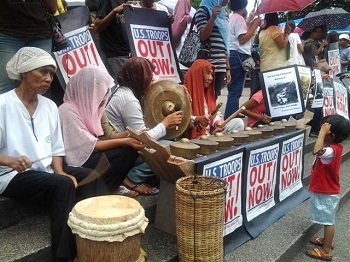 Even UN Raporteur on Human Rights Philip Alston said that the reactionary bourgeois state, through its mercenary AFP [Armed Forces of the Philippines], PNP [Philippine National Police], paramilitary forces and the so-called private armies, is the biggest human rights violator in the Philippines. Thanks to Democracy & Class Struggle for pointing this out. 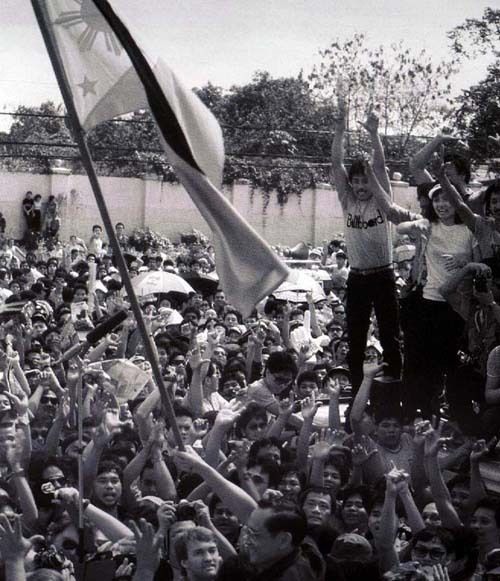 In celebration of the Kabataang Makabayan (KM, Patriotic Youth) 46th anniversary, hundreds of KM members joined today’s lightning rally near Malacañang, calling for support to the revolutionary movement’s objective to advance the peoples’war. 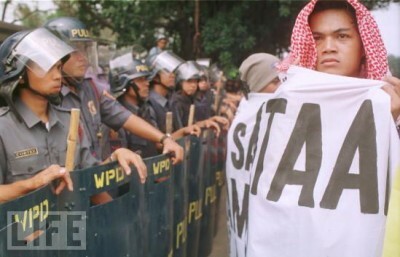 Students, teachers and faculty protests cuts to education in the Philippines. 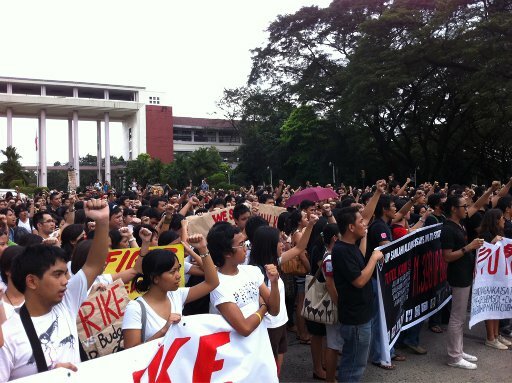 The Communist Party of the Philippines (CPP) salutes and supports the struggle of students and other school personnel of the University of the Philippines, the Polytechnic University of the Philippines, the Philippine Normal University and other state universities and colleges (SUCs) in Metro Manila and other regions against unjust SUC budget cuts.